Prescription drug addiction can often begin very subtly. When people think of addiction and detox they use usually are considering hard drugs like Crack, Heroin, or Possibly Alcohol. Many times people do not realize the strength or danger of the drugs they are being prescribed by their doctors. Valium, or diazepam, is one of these drugs often prescribed. It is very dangerous in terms of dependency and withdrawal. Valium has many helpful benefits, but when abused or taken long-term, it can have detrimental effects. Diazepam is one of the most commonly prescribed drugs of the benzodiazepine family. All benzos have a high risk of dependency, meaning that the body becomes to rely upon the substance to function in a normal manner. When an addicted person stops taking benzos, they have uncomfortable and dangerous withdrawal symptoms that often induce seizures. Valium is often prescribed to people with anxiety, muscle spasms, seizures, sleep disorders or restless leg syndrome. Valium is also used in detox centers to help with alcohol withdrawal or as a tapering drug for benzo withdrawal to reduce the likelihood of seizures. Valium makes the user often tired, or sometimes “loopy”, and can cause euphoria and comfort, making it a desired drug that can lead to abuse. Diazepam was first synthesized and launched in 1963, and since has been one of the most prescribed drugs in the world. Valium was considered a wonder drug in the 1970s, and in 1978 alone more than 2 billion tablets were sold in the United States. 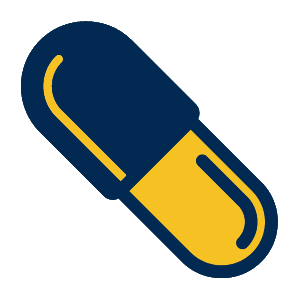 Diazepam is listed on the World Health Organization’s List of Essential Medicines, meaning it is regarded as essential in the most basic of health care systems. Diazepam now has over 500 brand names on the market. It is to this day highly regarded for treatment of anxiety disorders and diseases like Multiple Sclerosis. Valium works by affecting the GABA receptors in the brain and the flow of dopamine. These cause desirable comfortable affects which is what leads to psychological addiction. People often do not notice they are dependent on the drug until it is too late. Users will attempt to stop taking the drug, or their prescription runs out and they get very sick. Because the drug is now known for causing addiction medical professionals try to avoid long term prescriptions, but users may still try to “doctor shop”, or see multiple doctors in attempt to get more of the substance. The drug is also commonly sold on the street or by dealers as it is often mixed with other drugs or used to assist with the uncomfortable come down from stimulants like methamphetamine or cocaine. Because Valium is so commonly prescribed, many times people do not realize they can become addicted. The truth is that even using valium short-term, with regular daily use, one can become dependent on the substance. Because Valium is a benzodiazepine, the detox process can be dangerous. It is highly advised that anyone detoxing from diazepam, or any benzo, seek a detox center or medical help. When detoxing, the user will be given a taper, usually another benzo like ativan, librium, or even Valium it self. They are brought off the substance a day at a time with decreasing dosage sizes. The process must be slower than other drug detoxes, because Valium stays in the body longer, and sudden changes in dosages can cause seizures or even cardiac arrest. Sometimes barbiturates are used during the Valium detox process to help with sleeping and reduce seizures while continuing to decrease the doses of benzos. Other comfort drugs are sometimes used as well, like Clonidine, a non-narcotic blood pressure medication, to help with restlessness and anxiety. Often Valium is used with other drugs, which may mean other detox medications will be needed if you are dually addicted. WHAT DOES THE Valium DETOX PROCESS LOOK LIKE? Because diazepam is a benzo, even if a person is taking the amount prescribed by their doctor, the body can become dependent on the drug. This will mean the most advised way to come off the drug is an inpatient detox center. These usually last 5-10 days, and the individual will be watched and monitored by medical staff. Doctors and nurses are on site 24/7 to make sure the person is having a comfortable and safe withdrawal. Because benzodiazepine withdrawal is so dangerous, there are often detox centers dedicated to the drug. Valium is a drug which will require more professional medical observation than other drugs due to the risk of seizures and heart attacks. The detox center often looks like a doctor's office but has TVs, couches, and one’s own or a shared room. Often one’s blood pressure and other vitals will be monitored to insure a safe detox process. Specifically, diazepam detox patients will get an ample amount of other medications to assist with anxiety. Severe anxiety is the overwhelming symptom coming off of any benzo because of the parts of the brain the drug effects. Also, because Valium is used for anxiety treatment, some patients have pre-existing anxiety that is exasperated when coming off of the drug. Many people addicted to a substance are in denial of their addiction. This is especially true with prescription drugs, because people do not want to believe they are addicted to the drugs they were prescribed by their doctor. Education on prescription drugs like Valium is very important so people can know the risks before taking a medication suggested by their doctor. Though one may have a need to take Valium, they should understand the likelihood of becoming dependent on the substance and the danger of stopping suddenly. Another reason people avoid detox is because they are afraid of withdrawal symptoms. Many times people may know, or have an idea, of how painful withdrawal from Valium can be without medical help. Many times though, users may not be aware of the comfort medications used to make the detox process significantly less painful. Without detox medication one may feel agitated, restless, and confused. Can you detox from Valium at home? Valium, and all benzodiazepines, are extremely dangerous to detox from. One should never detox from Valium at home. Sometimes one may be convinced they can quit Valium on their own, but this is highly unadvised and not safe. Even if one is taking what is prescribed by their doctor and not abusing the drug, one should always seek out medical help. Seizures and sudden cardiac arrest can occur, both of which can cause death or brain damage. Tapering one’s self off Valium is also unsafe, because even jumps in dosages can cause seizures. Even when one is being tapered off of Valium in a detox center, often other anticonvulsive medications are administered. Valium detox is a medical process, and no “at home remedy” should be attempted. In addition to being physically dangerous, quitting benzos causes extreme anxiety. This can cause one to become desperate, or have panic attacks. The intense anxiety often is strong enough to change one’s mind and cause them to relapse on Valium. They often can not stand the discomfort and are willing to do anything to make it stop. In a medical detox, multiple medications are used to combat anxiety and restlessness. Also, medical detoxes are locked down, and require a person to formally check out and sign paperwork to leave against medical advice. The time it takes to do this is often enough to allow the person to calm down and decide not to leave detox. All benzos are very unpredictable in terms of length of withdrawal symptoms. Length of use, amount taken, and weight and height of the user all have a role in the detox process. The initial inpatient detox can be up to 10 days, but the most severe symptoms can last up to 2 weeks or more. During the initial inpatient period one will be tapered off of Valium, and this is the most common time for seizures. After inpatient detox, the user may still take other medications to help with lasting symptoms depending on what their doctor prescribes. Some people feel much better by the time they leave inpatient, while others still feel very sick. Symptoms also depend on a person’s metabolism and how their body processes benzos. Though the most uncomfortable symptoms should only last a few weeks, sometimes people feel symptoms months after quitting Valium. Sometimes inpatient rehabilitation is desired or recommended so that a person can be in a safe pace until they begin to feel normal. Sometimes the symptoms can feel like they may last forever, which may drive a person back to benzos. Though symptoms can last months, it is still only temporary, Eventually the neurotransmitters in the brain begin to even out and anxiety will dissipate. In rare cases, severe users may even feel symptoms for years. If you are having long-term symptoms, there are non-narcotic and non-addictive medications to help with anxiety and sleep. If you are only taking Valium as prescribed, it is unlikely you will have long lasting symptoms, and it is the first week that is the most dangerous and uncomfortable. Without professional medical help, the chances of long term symptoms are significantly increased. Doctors wrote 14.7 million prescriptions for Valium in 2011. Admissions for benzo treatment (including Valium) tripled between 1998 and 2008.